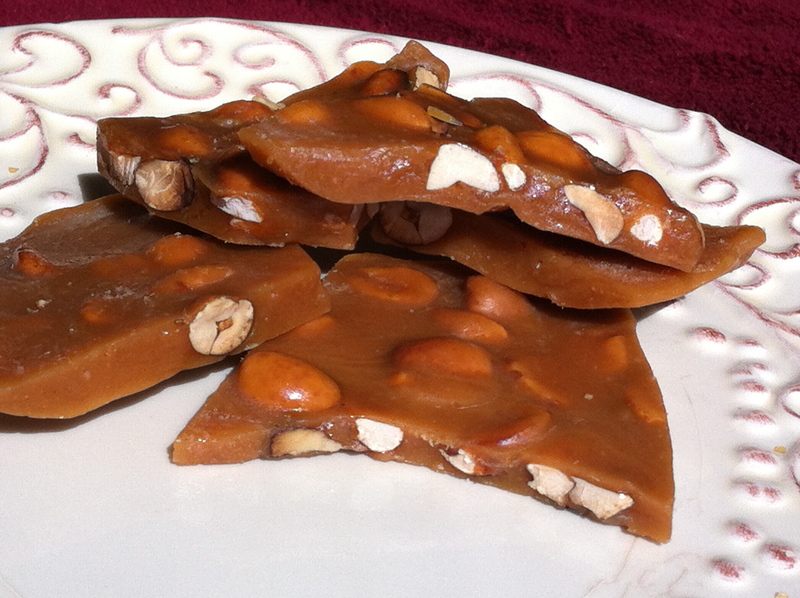 Peanut brittle was always a staple on both sides of my family. It was my grandmother on my mother’s side favorite treat and I would love going to her house and finding a new container of peanut brittle. My aunt on my dad’s side actually worked for See’s candies (a popular chocolate store out in the West), so if there was ever a damaged container, she got to bring some home. 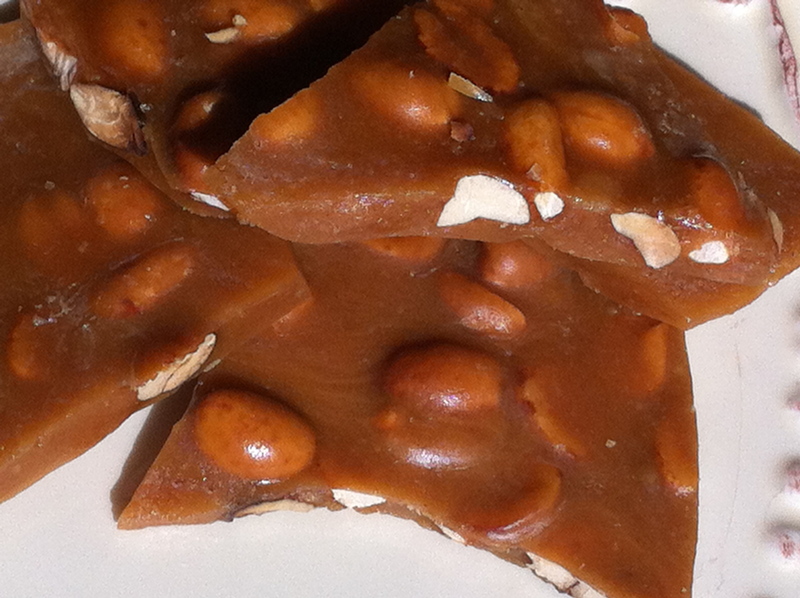 Overall, peanut brittle is a dream to any child who just likes straight sugar and nuts (so just about every child). To appease the children of the world, I encourage all parents to make this recipe immediately! (1) Line a baking sheet with aluminum foil and spraying the foil with nonstick cooking spray. I know your mind is thinking that parchment paper may be best and that aluminum foil may stick too much, but it really is perfect. (2) Combine the sugar and water in a medium saucepan and stir until the sugar is entirely moistened. Then add the corn syrup and salt. (3) Cook the candy over medium/high heat until it reaches 225° on a candy thermometer. 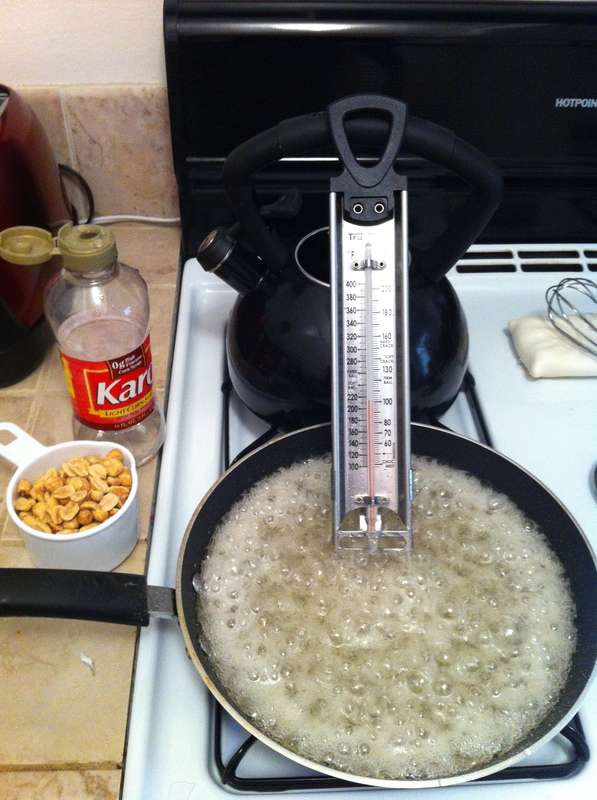 At 225°, add the peanuts and stir to combine. Continuously stir this mixture until it reaches 290°. You want to make sure you are constantly stirring or else some of the peanuts may get a little too dark and toasty. (4) Remove the pot from the heat and stir in the butter, baking soda, and peanut butter. Mix until well-combined and then pour onto the prepared baking sheet. 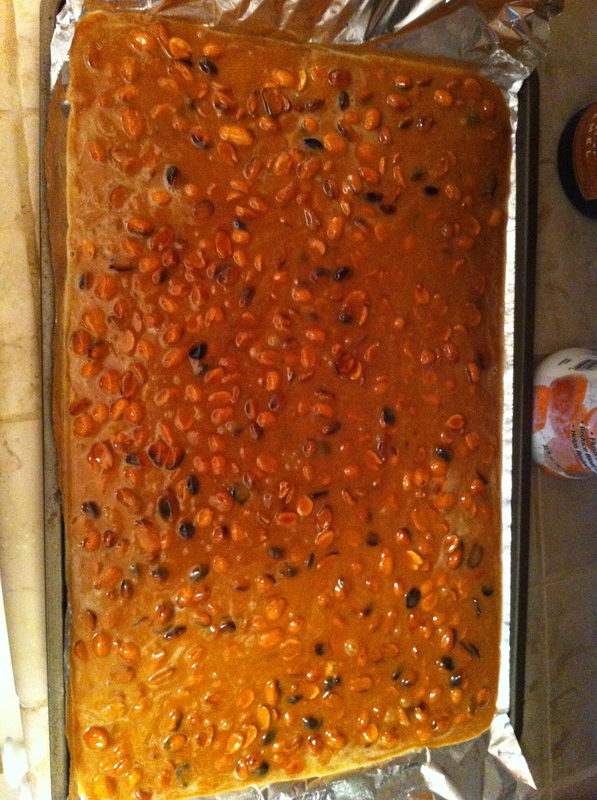 (5) Spread the candy as thin as possible with a spatula on the baking sheet. Let it cool until hardened at room temperature. Once it is entirely cool, break it into small pieces to serve. Store the brittle in an airtight container or plastic bag at room temperature.